Whether you choose to play online or in a brick and mortar establishment, casino Bitcoin card games are among the most popular activities gambling has offer. With levels of gameplay that vary from simplicity itself to head-scratching mathematical complexity, such games can appeal to everyone from casual amateur players to dedicated professionals. Here are three most popular card games in the world. 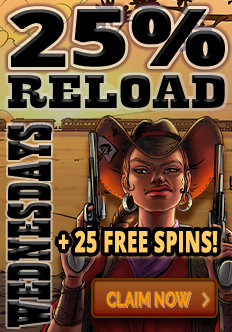 Also known as 21 and sometimes Pontoon, blackjack is one of the most popular casino card games around. Much of this appeal rests in the fact that blackjack takes only minutes to learn. This means that even first-time visitors to a casino can join in with ease. This compares particularly favourably with a game such as poker which not only has many rules and regulations to master before a single bet can be placed but also requires far more in the way of strategic thinking in order to achieve any level of success. Each blackjack player is dealt two cards face up while the dealer has one card face up and the second face down. Picture cards are worth 10 points, aces can be worth either 1 or 11 depending on which is more favourable. Other cards are played according to their face value. The object of the game is to have cards that have a value that is as close as possible to 21 or exactly 21 but no higher. Hands that exceed 21 are said to have ‘busted’ and any wager that has been made is lost. All bets are made against the assigned dealer - a member of the casino staff - rather than one of the other players. This makes blackjack one of the more friendly and welcoming of the casino card games as whether one player wins or loses has very little to do with whether another player at the same table is able to do the same. Although more experienced blackjack players will pick up tips and develop strategies that maximise their chances of winning, the nature of the game is such that pure dumb luck will often triumph over common sense and on occasion even extremely poor playing decisions, such as requesting an additional card when the count has already reached 19, will sometimes prove to be a stroke of genius. In addition to placing straight bets, players have other options. If the first two cards dealt are a numerical pair, they can be split into two hands. It is also possible to double a bet if your first two cards are particularly favourable. 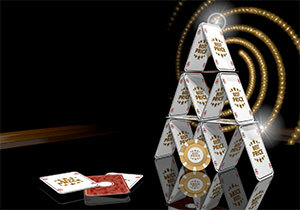 Players can also purchase insurance against the dealer having blackjack to prevent an entire stake being lost. While in many private games, bets can be placed at various stages of play, in the casino all bets must be placed before any cards are received. In the event of a player achieving a blackjack, this is paid at one and a half times the original wager. Ties are treated as stalemate with the original stake being returned. Dealers playing casino card games of blackjack have no option but to stand if their card count reaches 17 or higher and they must draw and additional card if their count is 16 or less. The dealers in most modern land-based casinos play from at least four decks, dealt from a ‘shoe’ card holder. There are, however, some casinos that continue to play with two and sometimes even a single deck. This allows players with exceptional memories to gain a slight advantage over the house but attempting to calculate the values of the cards remaining in the pack at the end of each deal and betting only when the odds most favor them winning. This practice, known as ‘card counting’ is not illegal so long as the player does not attempt to make use of any outside help or electronic devices to help with the calculations. That said, any player suspected of card counting will be politely asked to leave the table. Such suspicions are difficult to avoid as the nature of card counting produces distinctive betting patterns where a series of small wagers are suddenly followed by a series of large, successful bets. In areas with multiple gambling establishments, such as Las Vegas or Atlantic City, details of those ejected from one establishment are quickly passed on to the heads of security at others. This means that if you are asked to leave one casino because you are suspected of card counting, you may have a great deal of difficulty finding a place at a table elsewhere. Developed in Italy and popularized in France during the late 15th century, baccarat is one of the most enjoyable casino card games for beginners and experienced players alike. As is the case with blackjack, baccarat is relatively simple to learn, though it may take a little more time for a newcomer to familiarize themselves with the ins and outs of casino card games of baccarat. The object of baccarat is to aim to have 9 points, or as close to this number as they can possibly get, within a hand of two or three cards. Picture cards and 10s are worth zero while all other cards simply reflect their actual number value. Aces are counted as one. If the total of a hand amounts to more than 9, only the second digit is taken into consideration. Thus, a hand with a count of 11 equals 1, a count of 15 equals 5 while a count of 20 equals zero. In this example, the 5 would win as it is closest to 9. Each hand consists of a minimum of four cards - two for the player and two for the banker - and more if there are more players. 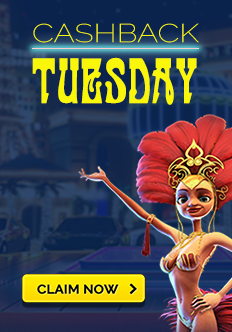 Although a member of the casino staff will be at every table, players are encouraged to take turns at dealing from the card shoe after each new win. Before any cards can be dealt, bets must be placed with each player choosing whether the players or the banker will win the next hand. The shoe, which holds eight complete decks, is passed from one player to another in a counter-clockwise direction. Once the dealing has been done, the croupier then announces the value of each of the hands and the winner is declared. Anyone holding cards worth 8 or 9 will usually be declared the winner, unless the banker has the same count. In the event of a tie, all bets become invalid.Players must stand if they have a count of 6 or 7 and must draw a card if they have 4 or less. With a count of 5, the player can choose whether to draw a further card or not. The banker usually has no restrictions and is able to draw or decline further cards at their own discretion. Casinos will usually take a five per cent commission on bets and the bank. 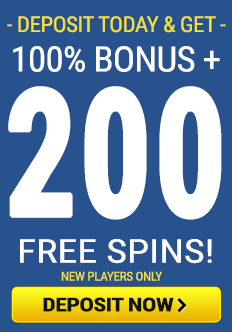 The croupier will keep a tally of the commission owned by each player, though it is possible to pay off this sum at any point during the game. Though more widely played in Europe than in America, the number of establishments offering baccarat continues to increase. The best way to get to understand baccarat is to stand beside a table and watch a few hands being played. Fast-paced and thrilling, it takes only a few moments of watching to understand why the popularity of casino card games such as baccarat remains so high. With such a wealth of books, websites, magazine and newspaper articles devoted to poker playing, strategy and mastery, newcomers often assume it is by far the most complicated and difficult of all the popular casino card games. While it is certainly possible to take the study of poker extremely seriously - and the fact that there are so many professionals who derive their entire living from playing the game is testimony to this - it need not always be the case. Most poker is played with hands of five cards, though the game can also be played with as few as three or as many as seven. Unlike blackjack or baccarat, the value of a hand is not linked to the numbers on the cards themselves but rather has more to do with how likely it is that a particular set of cards will appear together. The more rare the cards, the better the hand. Poker players make their bets according to the cards they hold - or hope to hold when future hands are dealt. The top five-card poker hand is the straight flush which comprises cards of the same suit in a sequence. The most valuable version of this hand features an Ace, King, Queen, Jack and 10 of the same suit and is known as a royal flush. The next most valuable hands are four of a kind, followed by a full house (which comprises three of a kind and a pair) and then the flush, a straight, three of a kind, two pairs, one pair and no pairs. There are two basic forms of the game: draw poker and stud poker. In draw poker, each player is given five cards which they scrutinize. They can then discard any unwanted cards and draw new cards from the pack. Bets are placed both before and after the draw. In five-card stud poker, each player initially receives two cards - one face up, the other face down. Three additional face up cards are then dealt and bets are placed between each new hand. The winner is the player holding the best hand of five cards at the end of the betting. There is also another variant known as community card poker in which some of the cards are available for use by all the players. Texas hold’em is the most common form of this type of poker. Although newcomers may not fully understand poker as well as other casino card games, they are usually aware of one unique aspect: the fact that poker allows players to bluff one another - to pretend to have a more valuable hand than they do - in order to convince other players to drop out and concede the contents of the pot. This is possible because once a player drops out of the betting, it is not possible for them to reenter the game, even if they have a superior hand to that ultimately declared by the winning player. To ensure bets are made during every hand, regardless of how good any cards held by the players are, the game of poker has a system known as the “blind” in which designated players have to put a certain amount of money into the pot. The stake for the “big blind” is the minimum bet allowed. The designated player moves one place to the left at the conclusion of each game. After the first bet has been placed, other players can “call” - place a bet of equal size, or “raise” - increase the bet. If a player chooses not to match the last bet or raise it, he can “fold” and no longer compete for that particular pot. When the final round of betting is complete, the remaining players must show their hands so that the winner can be determined. While there are many variations of poker, the versions most often played in casinos tend to be easy to learn and lots of fun to play. In the case of basic “Let it Ride” stud poker, for example, each player places three bets and receives three cards. The dealer then deals two ‘community’ cards face down. Players can then ask for one of their bets back or choose to “let it ride”. One of the community cards is then turned upwards and the player is offered the option of taking back another bet. After this, the second community card is exposed and all winning bets are paid according to a set schedule. Typically, a royal flush pays at 1,000 to 1 while two pair pays at 2 to 1. Some of the other forms of poker can be far more complex and require a steeper learning curve. Varieties of the game which make use of seven cards, of wild cards and which may or may not limit the number of bets that can be placed may be available at some casinos but as not all players will be fully familiar with them, the level of access to such games may be somewhat limited. Perhaps the greatest appeal of poker is that, unlike many other casino card games, there is genuine skill involved in addition to luck. Though some may be sceptical about this, the fact that the top professional players manage to win games and tournaments on a consistent basis shows that, with sufficient experience, it is possible to swing the odds of winning in ones favour.